When Sean Howe became the Executive Director of 3e McKinney in April 2018, he was stepping into an organization on the brink of change. 3e McKinney came to the understanding that their charity paradigm of transactional giving wasn’t working for their community. With a new leader in place, they were ready to take a leap and make a change, but the question was… how? 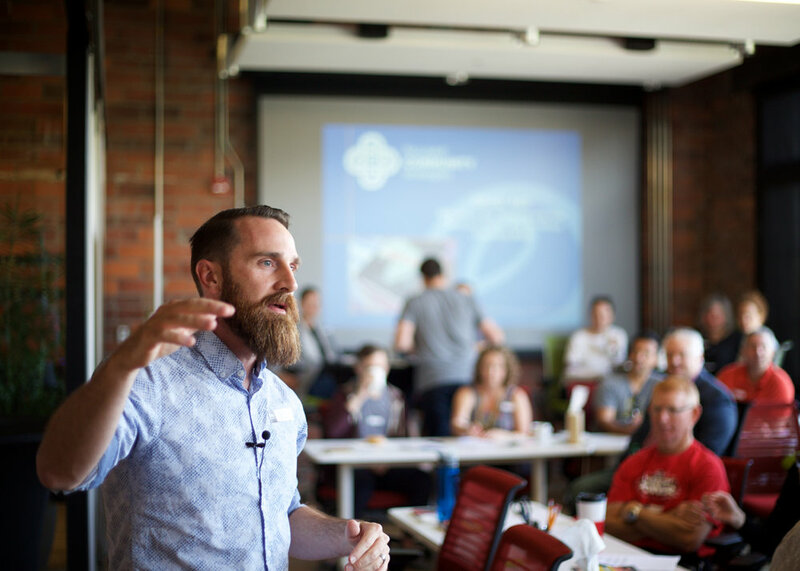 One month into his new role, Sean joined The Lupton Center’s Leaders Lab to learn how to face the challenges that came with his new job of collaborating with local churches and restoring relationships in the community. The staff and board members at 3e McKinney are leading the paradigm shift around what charity looks like in their community. They are working together to make this transition internally, while also sharing what they learn with their partners. 3e McKinney is hoping to move toward more dignifying, relational engagements with their community. If you would like to join the next Leaders Lab, applications are open until Sept 17th. Only a few spots remain. Apply today!